Answer: QUESTION: Resources for connecting corporations to bills. 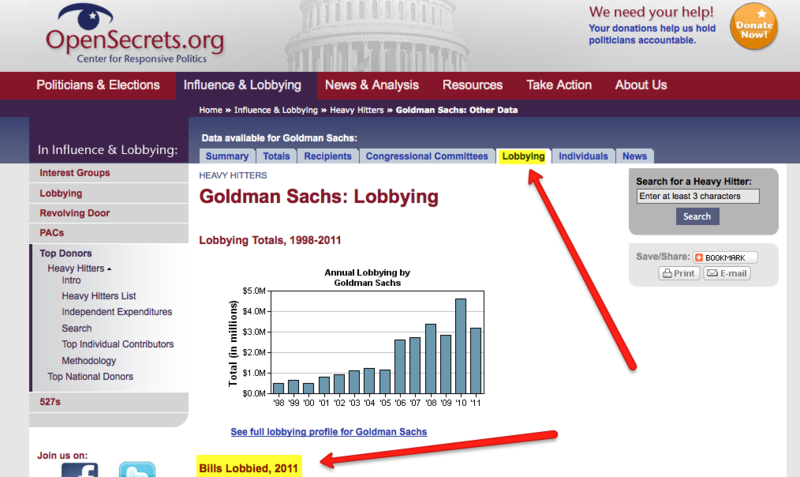 See halfway down the page where they get to Bills Lobbied? That's hot, right? question: QUESTION: Resources for connecting corporations to bills.